Our beloved mother has gone home to be with her father God. Leopolda Espino Arevalo's wonderful and kind spirit left this world to live eternally in heaven on March 21, 2019. She passed away at Baylor Scott and White in Waxahachie TX early morning surrounded by family and friends. 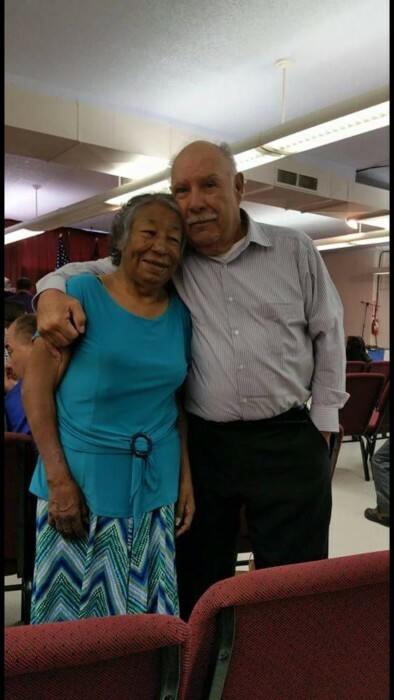 Leopolda is survived by her husband Adam Arevalo, and 7 children youngest Sonia, Jose, Alejandro, Norma, Abby, Mariselda, Adam Arevalo, along with 30 grandchildren and 30 great grandchildren, 2 brothers and 2 sisters, along with a plethora of Niece's, Nephew's, Uncle's, and Aunt's. Leopolda's beautiful, good hearted, and always generous life will be missed immensely, and all should take some comfort in knowing that as we see the moon fuller, the sun a little brighter, the stars twinkle more, and the flowers bloom in all their greatness. That is mom making things in the world spectacular as only she can do. We Love You. Friends and family are encouraged to gather for a time of visitation Friday, March 29, 2019 from 6 to 8 in the evening at Wayne Boze Funeral Home. Services Celebrating Mrs. Arevalo’s life will be held Saturday, March 30, 2019 at 2 o’clock in the afternoon in the Pat Boze Memorial Chapel of Wayne Boze Funeral Home.